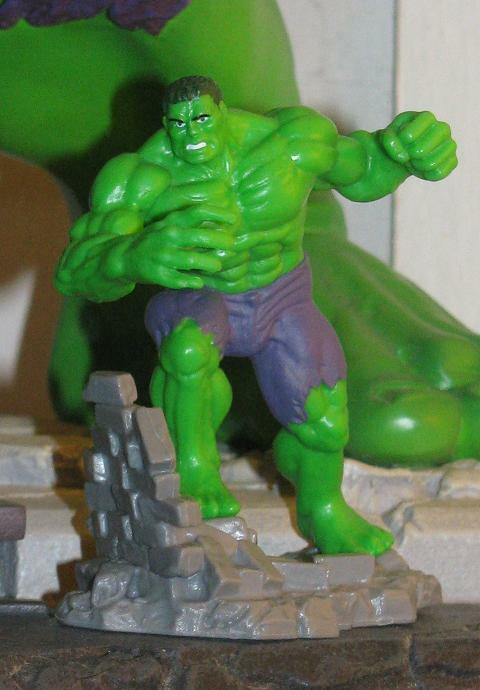 This Hulk is a classic looking piece with a decent sculpt and decent paint job. I mean, I’m not going to say it’s perfect – but it’s what you’d expect to get in a multi-pack. This set is available at the Disney Store so go out and get it… and have a magical day! 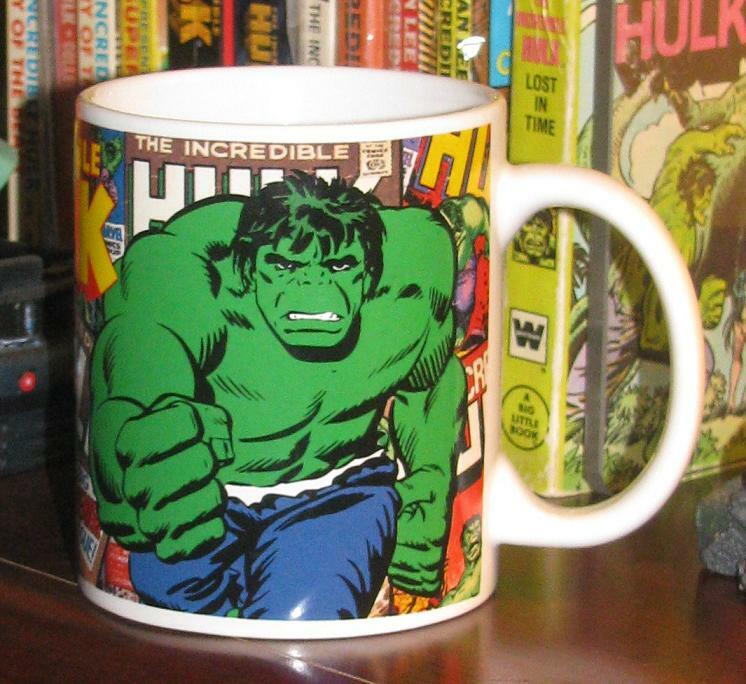 At this point I have lost count on how many Hulk mugs I own. 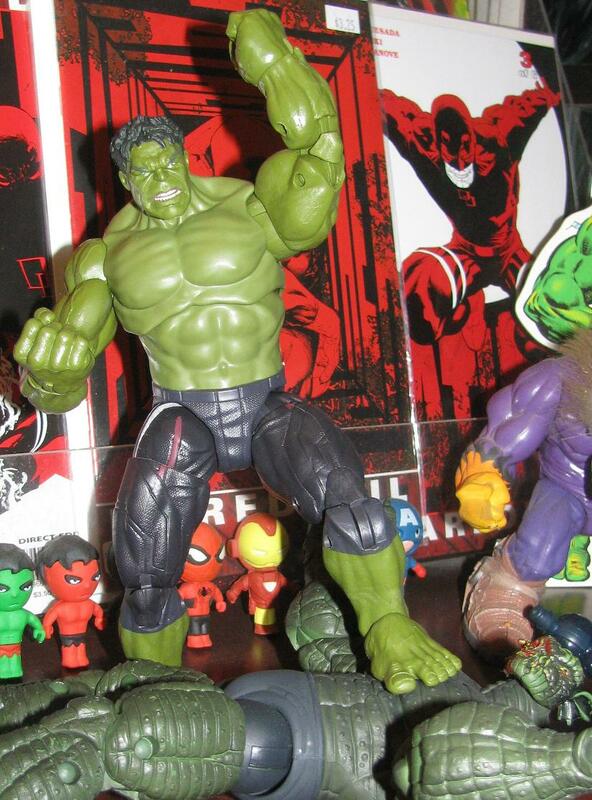 My favorites top out at the mugs actually shaped in the form of the Hulk’s head but I still have many, many others. So many, in fact, that I decided that I wasn’t going to be picking up any new mugs. 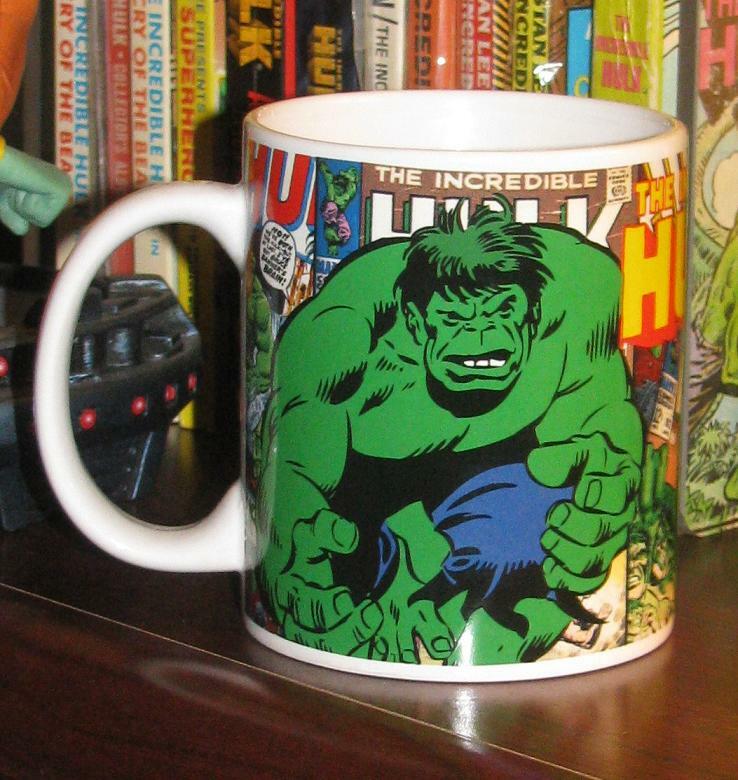 Of course, I can’t help it if a friend comes to my house brandishing a brand new Hulk mug that he found at the store. 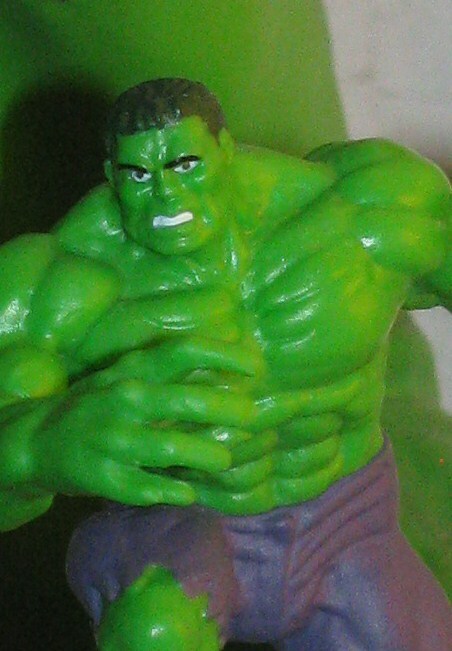 Each side displays a different Hulk image. 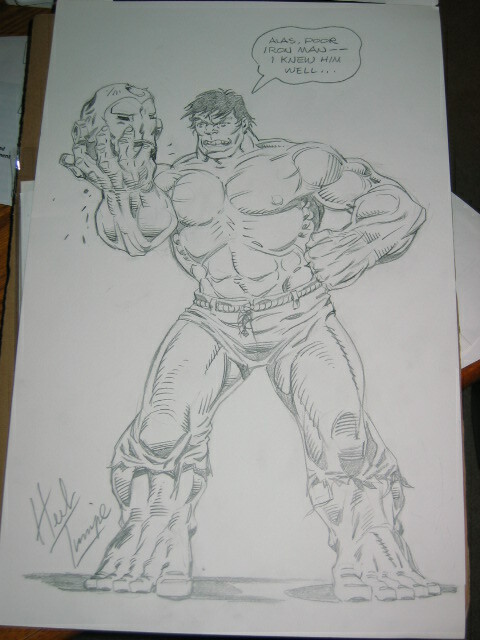 One side is the Classic John Buscema image from the end of issue #111 of the Fantastic Four. The other side of course, has gotten me stumped. I know I have seen it a million times but I am drawing a blank on where it originates from. Who out there wants to help me out? 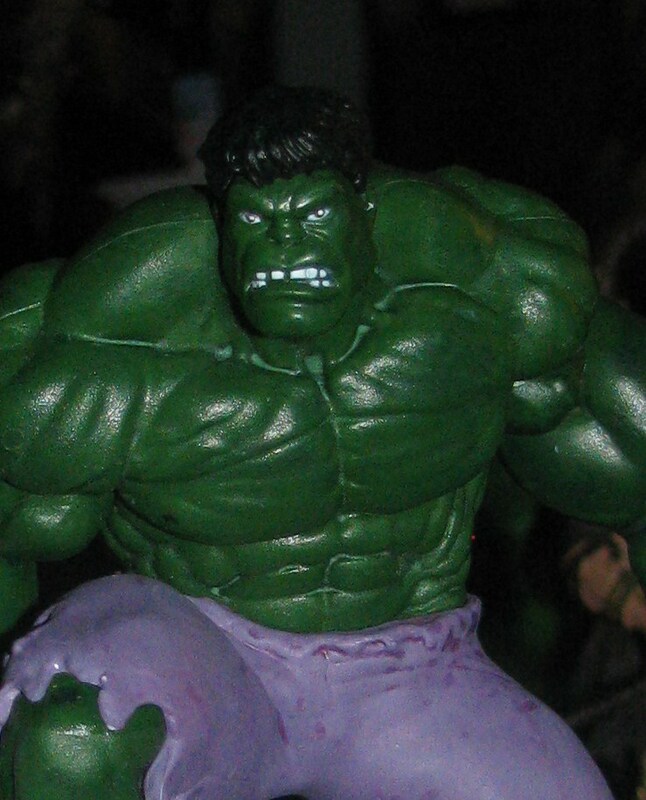 I will begin this post with a warning – not every Disney Store is carrying these monsters! I pass on this knowledge to all of you out there because in my early years of collecting I would have made the 50 mile trip to the closest Disney store only to find out that these toys are exclusive to Disney Outlet stores (that’s 40 miles from me in the opposite direction). Luckily, I called first and was informed to call the outlet store – which I did. 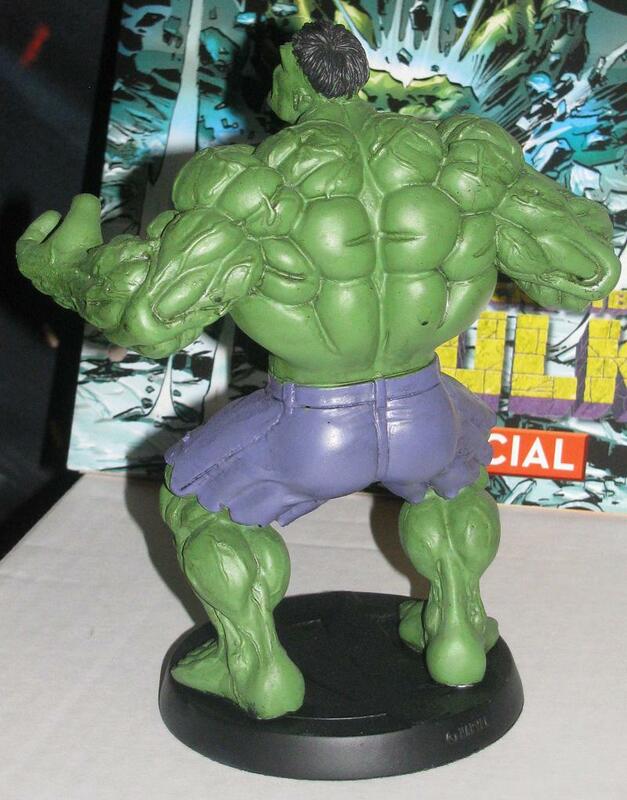 I was told by the Disney Outlet store that they had three talking Hulks left and that they would certainly hold one for me. They closed the phone call by telling me to have a “magical day”. You know, it kind of made me smile… so it sort of worked! Thanks flamboyant Disney Store employee! Out of all the artists that I have met not one ever matched up to the graciousness and spirit of who was the seminal Hulk artist of all time, Herb Trimpe. It is with great sadness that I report that Herb passed away Tuesday. I will never forget meeting and talking with this great artist and man who talked about his past with such great enthusiasm. The world lost a true talent. He will be missed. 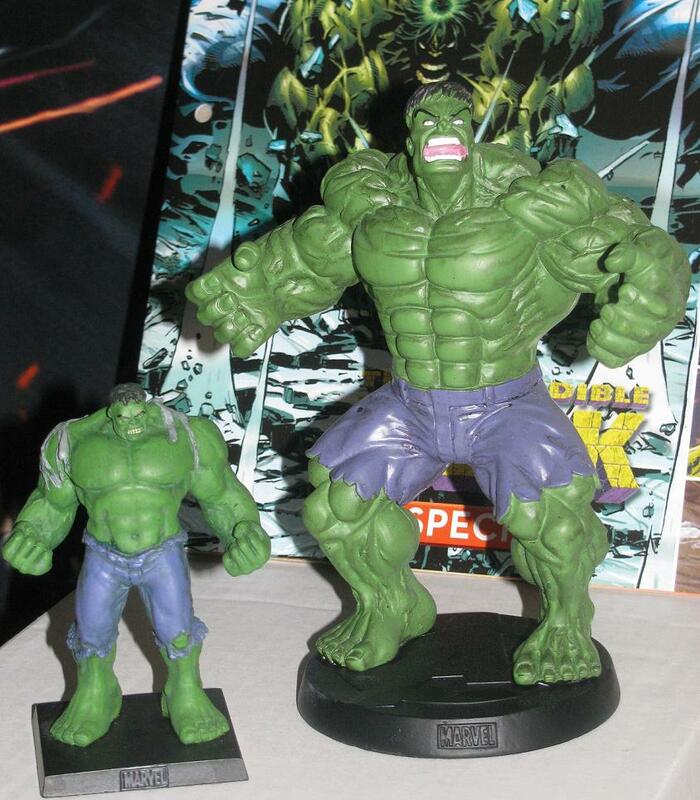 These Eaglemoss pieces seem to get bigger and bigger! The company that just released the chess pieces also released a large figure along with “fact files” which is a decent take on the magazines that they released with the lead figures. Even though the lead figures are much smaller they are so much heavier! 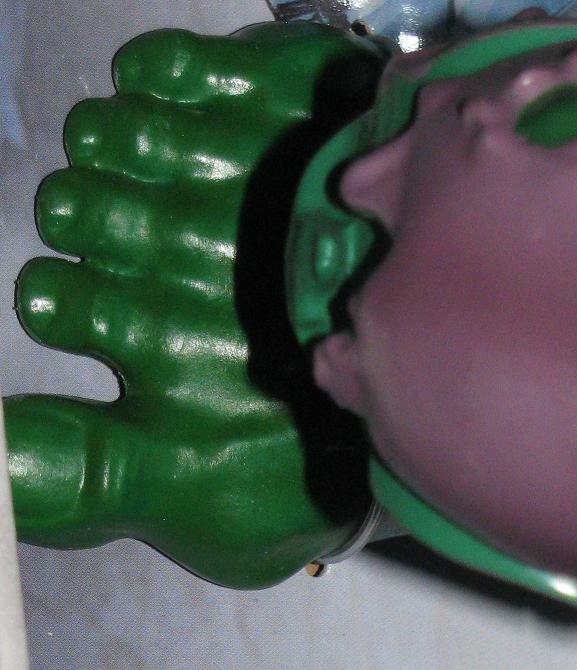 Of course, that shouldn’t be surprising since the lead figure is… well, lead and this new figure is solid resin. 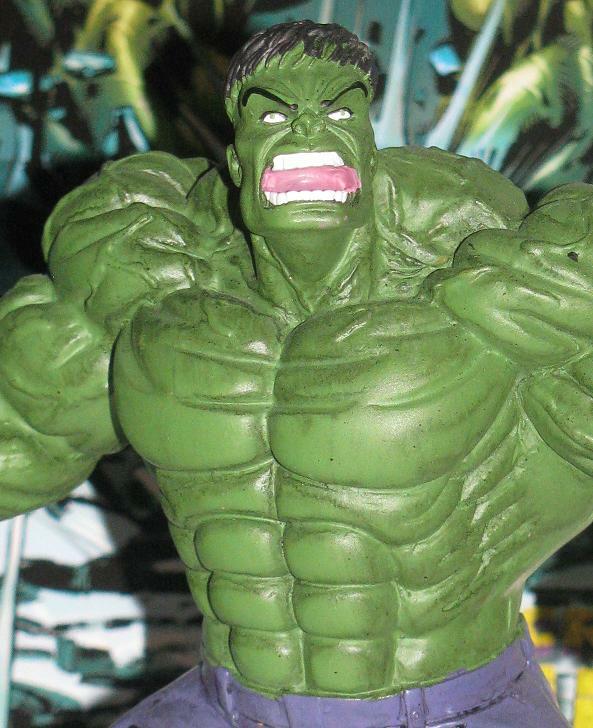 Still hand painted and well sculpted we are served up a raging Hulk screaming with raw power! 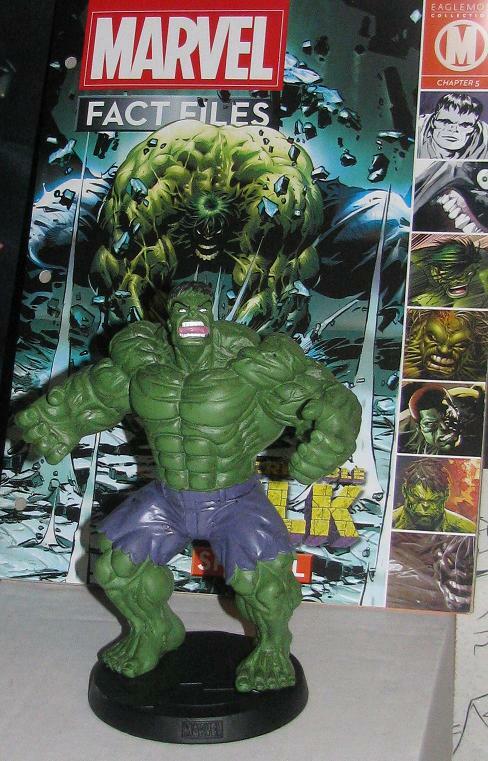 The full color magazine contains the history of the Hulk up to recent times – which is awkward since there is quite a bit of recent stuff I’d like to forget. If there is one thing that keeps me loyal to a company it’s when release after release is full of quality and has a commanding presence. Even the lead figure is small but is attention grabbing. The best part is that these are affordable. Usually ranging around the $30-$40 range these figures don’t break the bank! This was worth the wait – seriously – I can’t express just how excited I was not only to find this figure but also on just how well the figure is done. I will address the two slight issues that people seem to have in a bit – but first let me just gush over this great release just a little longer. 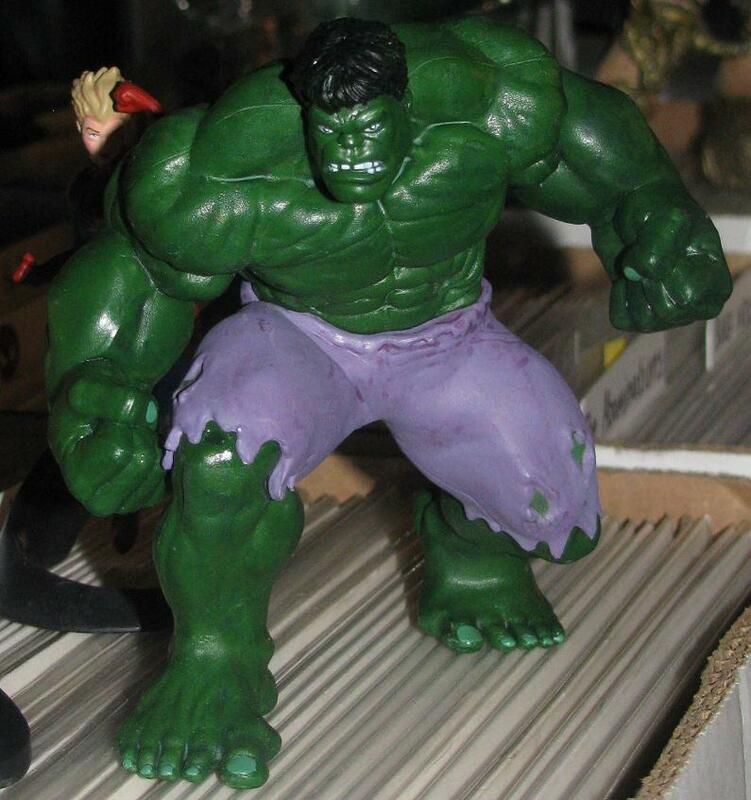 When the original Avengers was released we were served with a 3″3/4 figure that wasn’t high on detail and had tan pants… which, granted, was obviously movie accurate but still didn’t sit right with most pure Hulk fans. 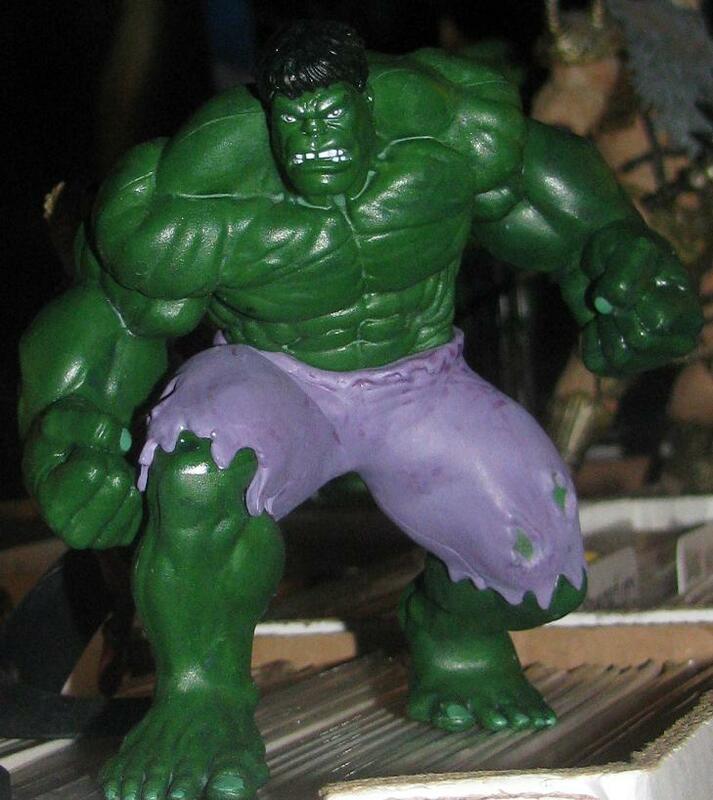 The pants still aren’t the “classic” purple but they are, again, accurate. This time, they are darker and look better and I am sort of intrigued on what they are all about. 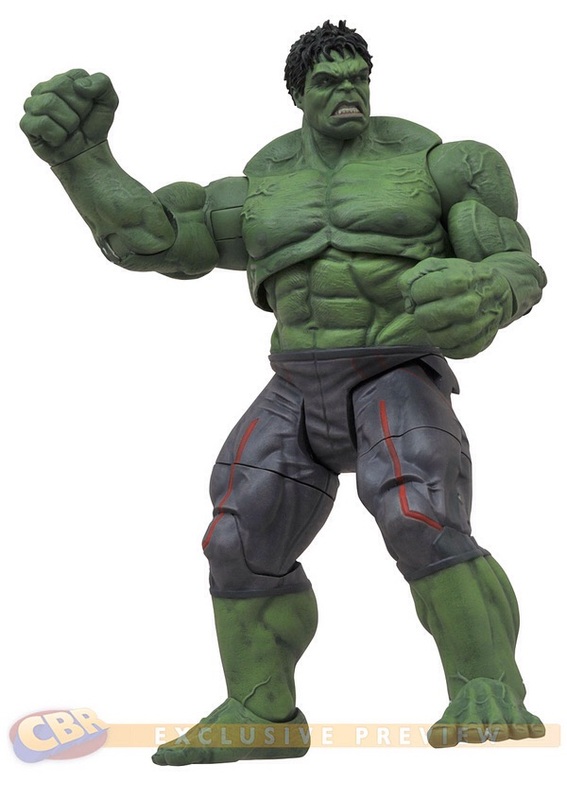 When first seeing the new Hulk it struck me as being reminiscent of the Marvel Select Avengers Hulk – which was a breath of fresh air after the “3/34 figure – it is a great figure and to have the new Hulk remind me of that – well, I was ecstatic. 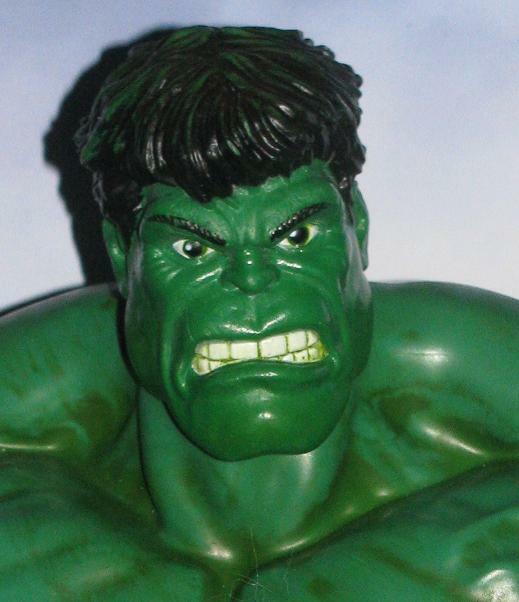 The snarling and ape-ish face feels authentic to the power that the Hulk displays in the movies. 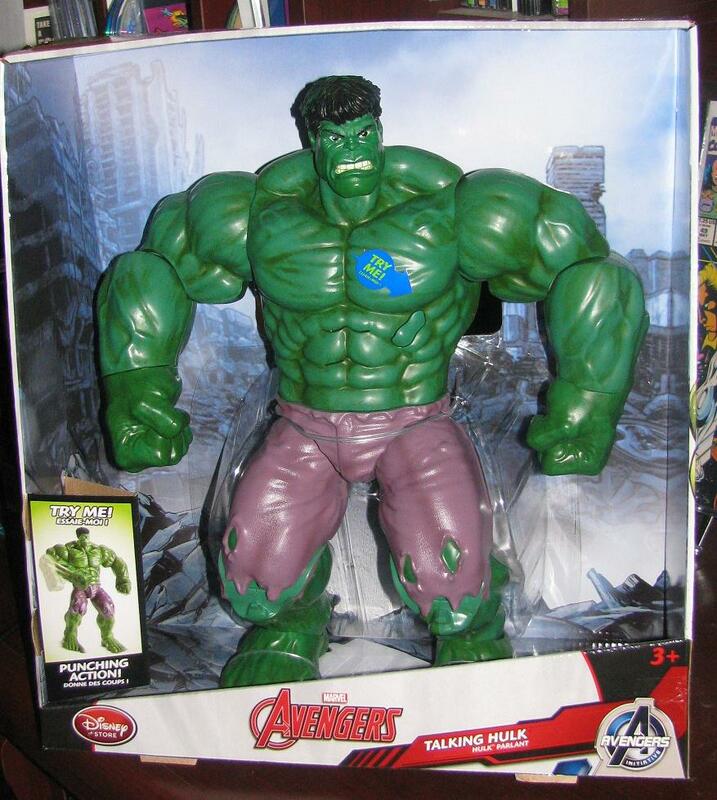 This figure hits a 10 on almost every scale that people rate action figures on. 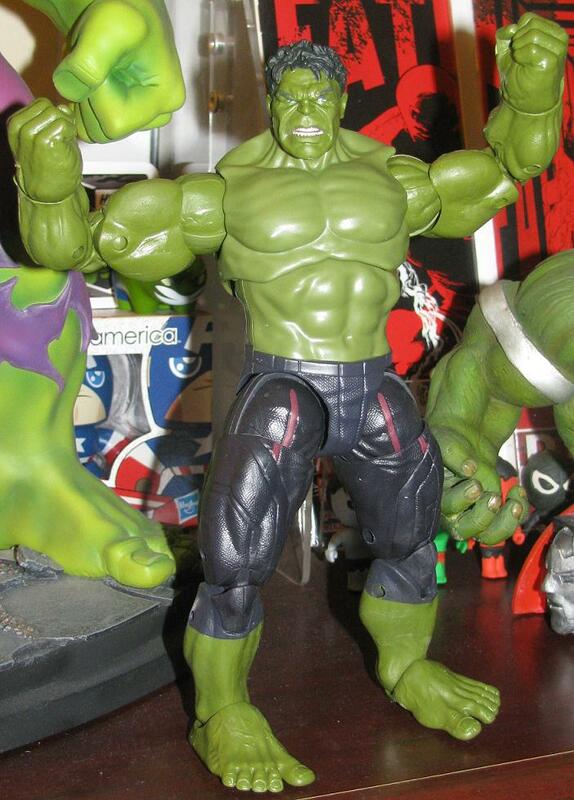 The articulation, the paint job, the sculpt and the pose-ability are all top notch. 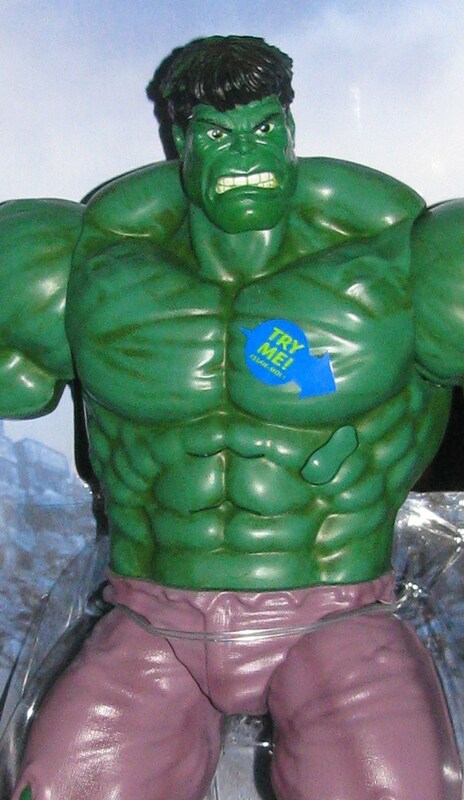 The issues I’ve heard from people is that the chest doesn’t match the arms completely. The paint color isn’t off by much if at all so it’s barely noticeable. 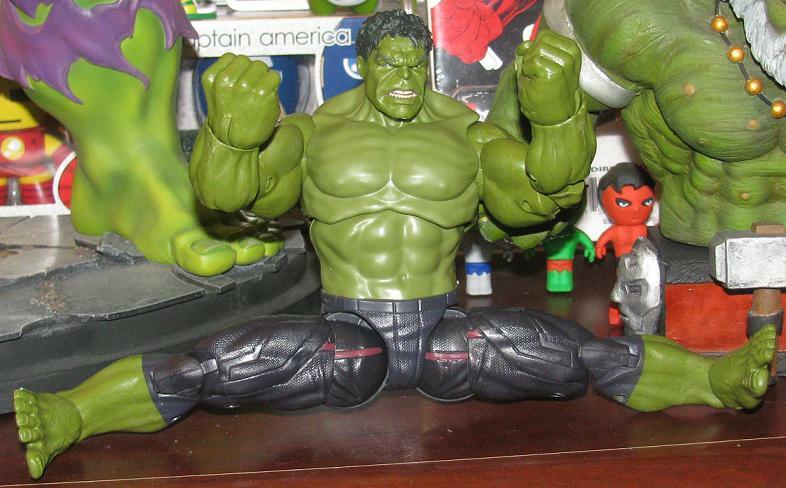 The other slight complaint I’ve heard is that the ball joints in the hips give him a bow-legged look. This, again, is barely noticeable and the ball joints really give the figure versatility that you just don’t get otherwise! Not to mention – at the time of purchase – Target was offering a Buy one Get one 50% off for all Marvel figures. So, that was a major plus! 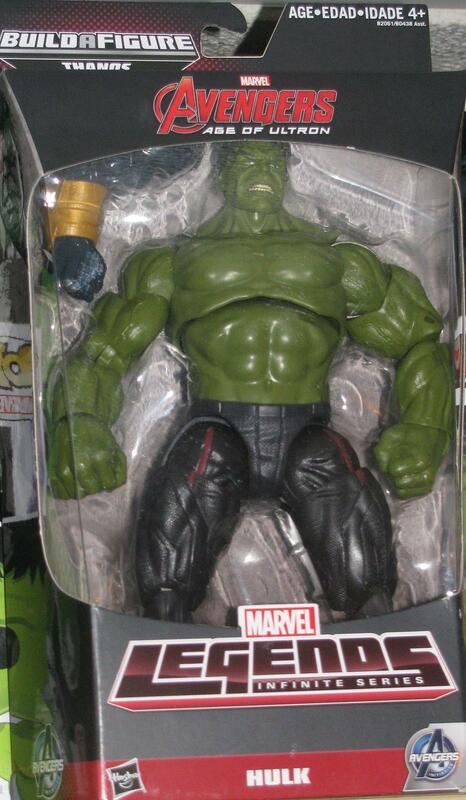 Marvel Legends Avengers Line Hitting the Stores! Keep an eye out peeps! 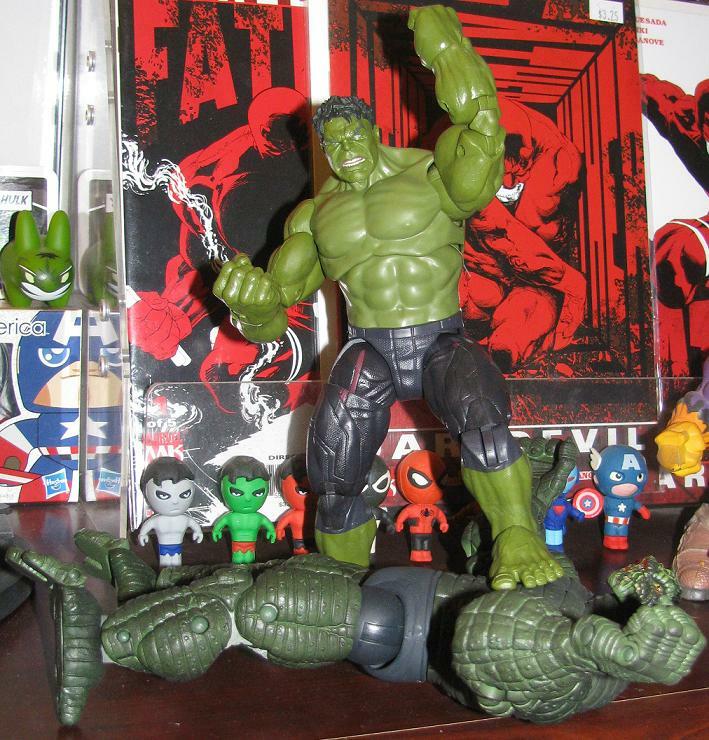 I just scored the new Marvel Legends Hulk – review coming sometime this weekend – from the Avengers line – it is pretty great and should be easy to find. 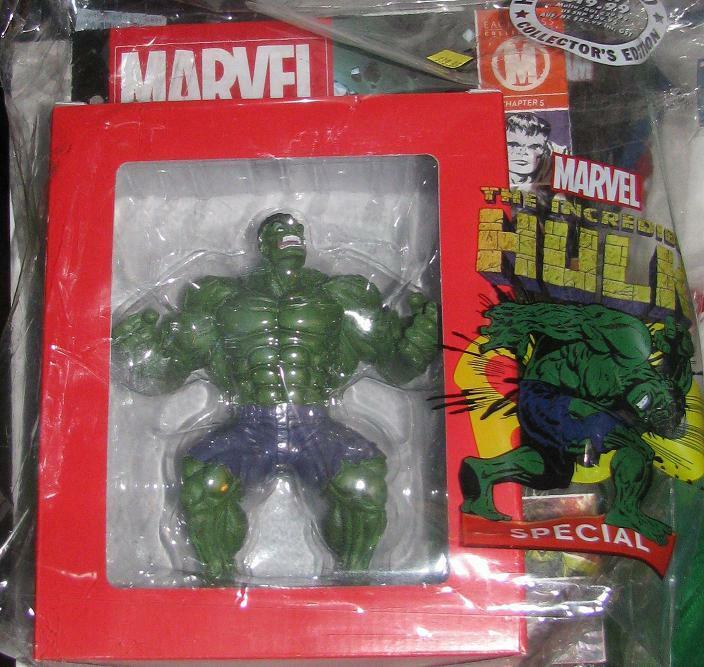 They are case packed with 2 Hulks, 2 Iron Man and then 1 of everyone else… but like I said – KEEP AN EYE OUT!